Nottingham Super Middleweight Chad ‘2 Slick’ Sugden is out to showcase his full catalogue of boxing skills when he steps into the ring for just the second time as a professional next weekend. The recently turned 22-year old recorded a debut victory over Lithuanian Deividas Sajauka at Walsall Town Hall in March and will lace up his gloves again on Black Country Boxing and Hatton Promotions’ event at the Banks’s Stadium on Saturday 14 May. The former kickboxer and mixed martial artist, who reached a career high World Number 2 Ranking, insists his experience of combat sports will serve him well as he looks to forge a career as pro boxer. “I don’t want people to think I’m one dimensional,” he told UKO Boxing earlier this week. “As a kickboxer I always found a way of adapting to people’s styles, whoever was in front of me. “I’ll be able to tell in first minute or so what sort of fighter my opponent is and how he reacts to my punches. 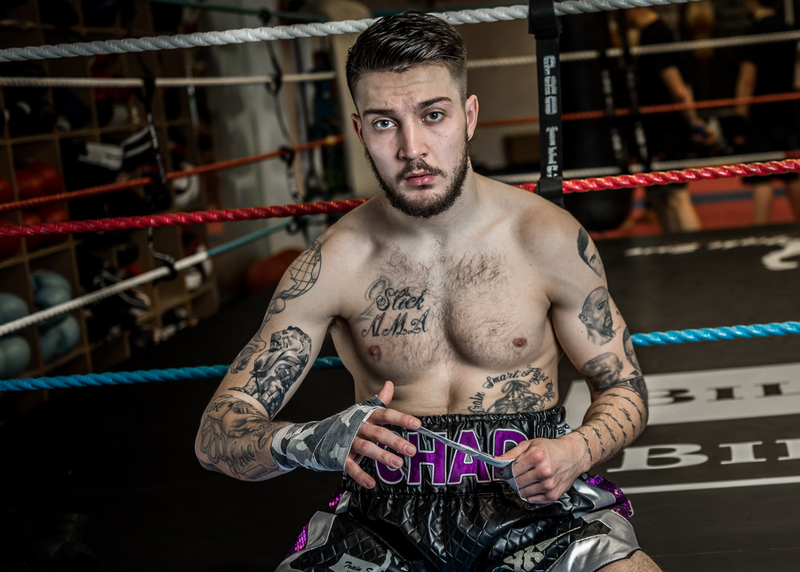 Boxing isn’t completely alien to Chad – an amateur boxer as a youngster, he was invited to represent the UK but decided instead to focus on his kickboxing. He followed in the footsteps of his father Dean Sugden, himself a former world champion kickboxer, during his teenage years and admits his career went better than he could have ever imagined. Now he’ll step into the boxing ring with his second Lithuanian opponent in the space of two months as he bids to extend his professional record to 2-0 with a victory over Vaidas Balciauskas on the MAY-HEM card. Despite hailing from the same Baltic state, Balciauskas will pose a different problem to the more aggressive Sajauka but it’s a challenge Chad insists he will relish. “I like to box and hit and move but this opponent is very different from my first fight,” he added. “I’m expecting him to stand and have a go so hopefully it means I can show my aggressive side this time. “I’ll be moving more aggressively and will hopefully be able to show my power on the night. “When I was kick boxing it was a good experience to get fights abroad and face top opposition. I think that’s what makes me different. I’ve had experience of those 50/50 fights where it could go either way and so I haven’t been worried about what’s been put in front of me. “I just have to concentrate on what I do best. Going to six rounds isn’t going to do me any harm. I’m fit enough and I think it’ll suit my style. I’ll be looking to set the pace early on and see if he can keep up. “I’ve seen him box on the internet and in person and I think my speed will be too much for him on the night. If I can bring my speed and power together then it could be a very exciting fight. The six-fight event features Hatton-trained prospect and Nantwich Heavyweight Nathan Gorman, as he steps into the ring for his fourth professional fight. 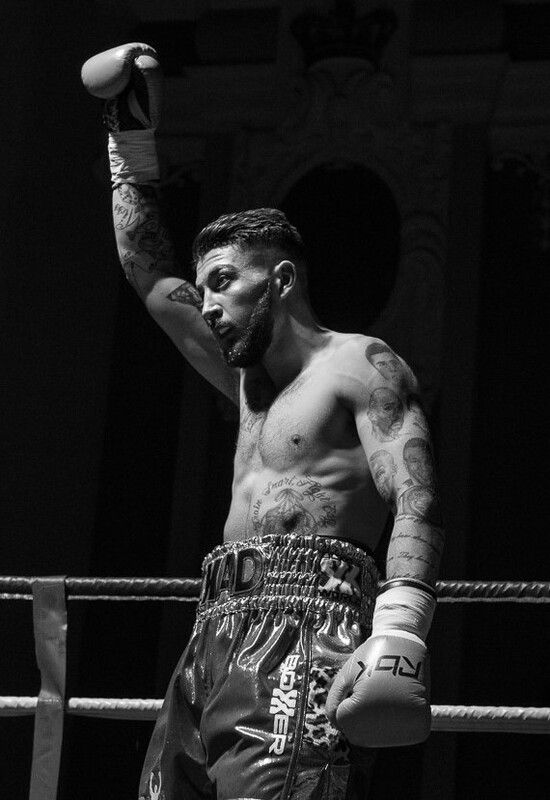 Wednesbury Welterweight Sam Evans, also trained by Hatton, co-headlines the evening whilst Stoke Super Lightweight Kieron McLaren, two-time British challenger Jason Welborn and former British Lightweight champion Martin Gethin complete an action-packed card. Next Next post: Ready to make mayhem!